GUWAHATI, Jan 23 – Citizens on Wednesday pledged to carry forward the ideals of Netaji Subhash Chandra Bose whose life and contribution is one unparalleled example of sacrifice and love for the country. On the occasion of the 117th birth anniversary of the soldier, the Greater Assam Netaji Subhash Chandra Bose Birthday Celebration Committee organised a function at Netaji Subhash Chowk, Paltan Bazar which was attended by cross section of citizens, including children. The programme which began with a prabhat pheri, featured patriotic songs, a colourful procession, an art competition besides a blood donation camp. The open session saw speakers dwelling at length on the ideals of Subhash Chandra Bose and urging the young generation to imbibe the ideals of the fighter. Writer Atulananda Goswami, in his speech, regretted that the textbooks did not carry chapters on the exploits and heroism of the Indian National Army (INA) nor any detailed write-up on the life and contribution of Netaji. He pointed out that under the prevailing situation in the country, it was pertinent for the young people to know about Netaji and the supreme sacrifice made by him and his comrades. On the other hand, former MLA Ajay Dutta lamented that the country at present lacked leaders like Netaji to give a clarion call to the country to rise. Dutta, while emphasising the need to build a new India on the ideals of Netaji, said that the young generation must know about Netaji and his contribution to the country. The committee conferred the Netaji Gorima Award to Justice DN Chowdhury, Ghanakanta Bora Borbayan and to Anup Ghatak. Ghatak, however, could not attend the function to receive the honour. MLA Rabin Bordoloi, who hoisted the flag and released a souvenir on the occasion, called upon the young generation to imbibe the ideals of Netaji. He also said that the people of Assam will forever be grateful to Netaji for his role in saving Assam from being a part of East Pakistan. “Because of Netaji, Assam is now with India. 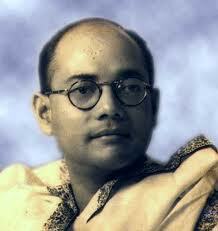 People of Assam, particularly the young people, should know about Netaji and his contribution,” said Bordoloi. A life size statue of Netaji was unveiled at Binovanagar LP School by Bordoloi. A day long programme was organized here by the Sanskritik Samaj.